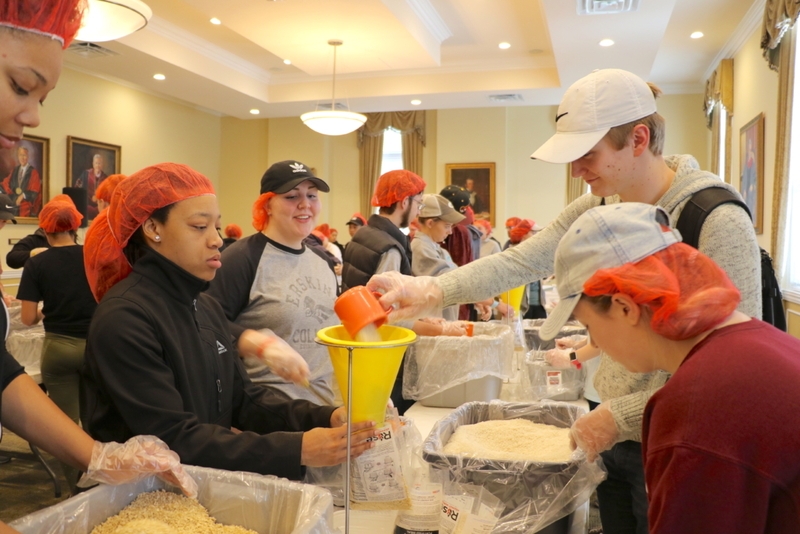 A Saturday morning service project succeeded in a big way at Sullivan Foundation partner school Erskine College when some 80 students showed up for a “Rise Against Hunger” event in February and packaged more than 11,000 meals in under three hours. 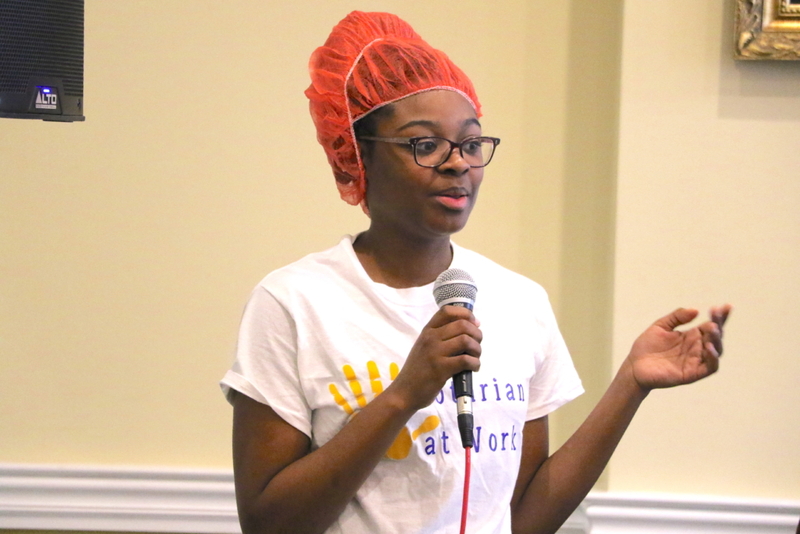 Hosted by Erskine’s Rotoract Club, the project teamed Erskine students with an international relief organization, Rise Against Hunger, which distributes food to some of the world’s most vulnerable people. Iris Gadsden is the president-elect of the Rotoract Club, which organized the Rise Against Hunger event. Most of the cost of the food delivered to Erskine for packaging was paid by Rotaract, with the remainder covered by the Convocation Committee and the Student Christian Association. Iris served as co-chair of a committee that headed the Rise Against Hunger project last year. “My previous experience made it easier to lead this year and know what needs to happen for an event this size,” she said.